So… I got my first rejection letter in the mail (and a second rejection letter via e-mail). The first was a very official rejection letter – that came in the mail. Having been an aspiring writer for so many years, and read the stories of other aspiring writers, I was not surprised or traumatized by the experience. I was actually expecting it. I mean, all writers expect to get rejected. In fact, I almost wanted to take that rejection letter and frame it. It is all part of a long process that will end with my book getting published (I hope) and millions (okay thousands) of young women and girls being inspired to consider politics as a career. My book was not right for these two companies but I know that it will be right for another publisher. And, above all else, I know that it will be right for the girls and young women who read it. The first rejection letter I got was obviously a form letter. But the second one that I received via e-mail offered some hope. Thank you for sending your very impressive book proposal to ******* Press. I’m sorry to say that Some Leader Are Born Women isn’t a good fit for our publishing list. I see on your blog that you have also sent it to KidsCan Press, which is a very good choice. I believe that this is an important book and I regret that we cannot take it on. Well, here`s hoping that I will find a publisher who will love this book and be able to publish it! I have started a new blog and a new Antigone series about my attempts to write a book of interviews with female world leaders! Check it out at http://www.someleadersarebornwomen.wordpress.com! Some Leaders are Born Women: What Young Women Should Know, is a project that I have been working on for over two and a half years. The idea first came to me when I contacted the Right Honourable Kim Campbell, Canada’s first female Prime Minister for an interview for Antigone Magazine, the magazine about women, politics, and the politics of being a woman that I founded and edit. That night, lying awake unable to sleep (I am a recovering insomniac!) I thought about how remarkable it would be to interview female world leaders about their experiences in politics and their advice to young women today and collect those interviews into one book that could inspire a generation of young female politicians. I was 22 at the time, and the type of person who is often swept away by the excitement of an idea. Of course, I would do this! It was a great idea! And, as a young woman myself, I was in a great position to be able to ask the type of questions that young women would want answers and advice on! The next morning I woke up and e-mailed a number of organizations working with women world leaders to ask them if any of them were interested in collaborating with me on the book. I did not get very many responses. The ones that I got were encouraging but apologetic, they could not get involved with the project but wished me the best. This is, of course, very typical. I get carried away with my own ideas and assume that other people will get swept away by them as well. But that is not always the case. I have been very lucky at certain points in my life to find the right person to help me nurture the right idea, but usually I have faced an uphill battle, obstacles, or even outright opposition. Like everyone, I find it hard sometimes to keep going in the face of that opposition. After a certain point, you begin to question yourself and wonder whether you are doing the right thing, whether you are capable of making your idea into reality. That is always the most difficult part of the journey. This time, I want to invite the world along on my journey. In setting out to interview 14 women world leaders, I know that there will be some difficult and trying times along the way. There will be language barriers, emails that get unanswered, meetings that get rescheduled and politicians that are just unreachable. And in setting out to find publishers that will bring these interviews and the advice of these women to young women around the world, I know that there will likewise be setbacks. I will get rejections, I will be asked to change the scope or focus of the book, and I will have my emails or queries ignored. But I will not give up. 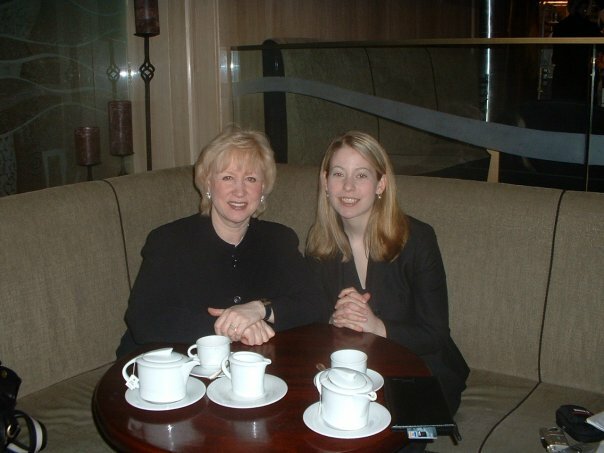 That was, after all, how I finally got my interview with the Right Honourable Kim Campbell. It took about 8 months from when I sent the first request to when I actually interviewed the former Prime Minister. First, my email was sent to the wrong address, and then I finally found the right address and it turned out they had already responded to me… and I hadn’t received it. Even on the day of the interview, things were constantly changing as the Right Honourable Kim Campbell’s schedule was in flux. There was even the suggestion that I try interviewing her while chauffeuring her between two other interviews, a scenario which was shot down given that I did not have a car. But just as I finally found my 30 minutes to an hour with Ms. Campbell, I will most likely finally be able to interview the women on my list if I remain persistent and strategic! And it is worth it that I do remain persistent because I truly believe that this book will be an important addition to the libraries of young women around the world. We all need people to look up to. Research shows that young women display greater interest in politics when they see women running or leading. I truly believe that we need more young women involved in politics. If I can help spark the interest of one young women by writing this book, so much the better! So, join me for the ride. Subscribe to the blog. Register for my mailing list. The more people who come here and support this project, the more likely I will be able to get the attention of the women politicians and the publishing industry. Or people who know how to get in touch with the women themselves!